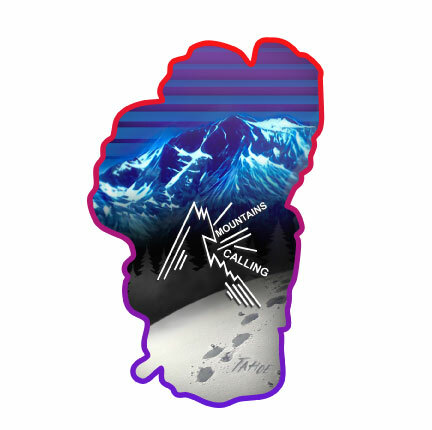 Lake Tahoe Shaped sticker with the Mountains Calling Logo under and image of Mt. Tallac and footprints in the snow! A reminder that the journey to the summit starts with a step!